Le Passerelle, linking the medieval village of Hautpoul to the 14th century ruins of the Saint Saveur church is proving very popular. 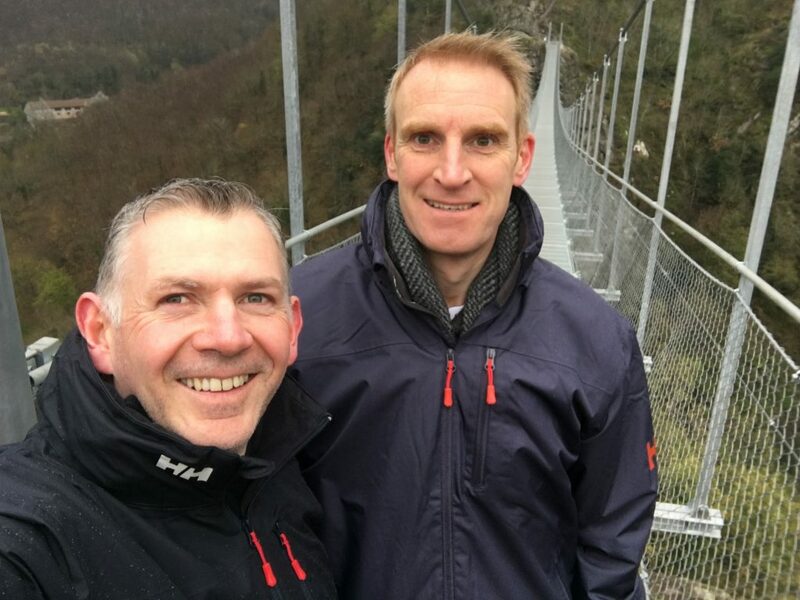 Since its inauguration on September 18th 2018, visitors have come from far & wide to experience the spectacular vistas on offer from the suspension bridge. Sitting 70 metres about the l’Arnette valley below, and stretching 140 meters between two ridges of the Montagnes Noire – it’s a must do when staying at La Villa. We have now traversed three times – twice walking up from Mazamet, through the forested pathway which is spectacular, and once by parking at Hautpoul and walking down through the village to the crossing point. The mayor of Mazamet has recently announced improvements to the access as both pathways to either end of the bridge are pretty rugged & rustic at present. 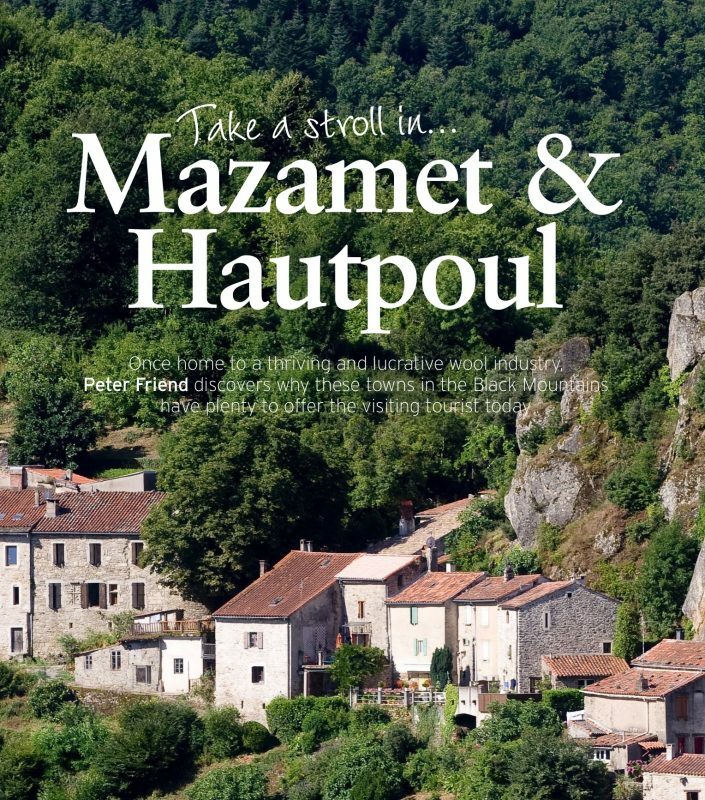 In the March 2019 edition of France Magazine, you will be able to read all about the beautiful walk from Mazamet to Haupoul. 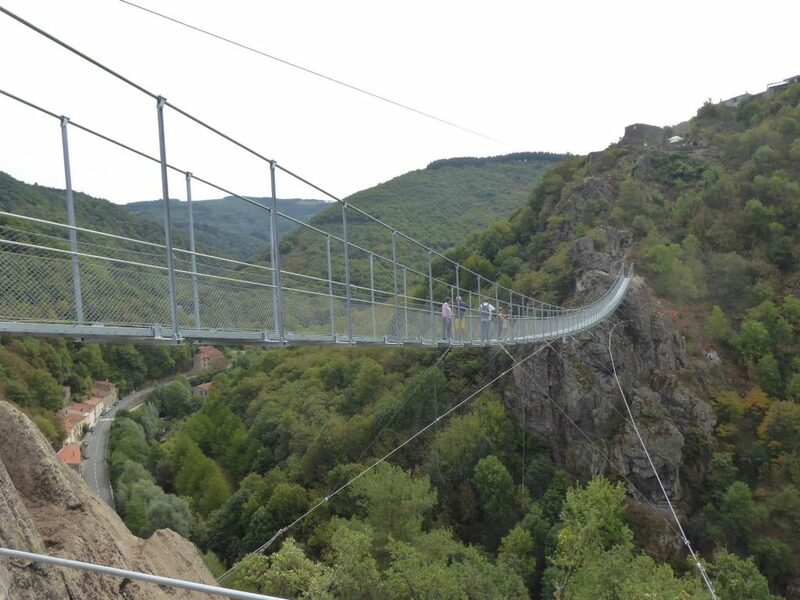 This walk, which incorporates le Passerelle, is known as the Fil de L’eau & follows the Arnette River from the centre of town through the site of the former wool & tannery factories and into the foothills of the Montagnes Noire. Don’t forget your walking shoes & camera !